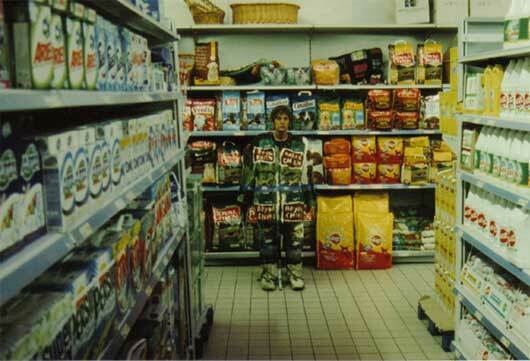 Laurent La Gamba makes photographic installations dealing with camouflage. 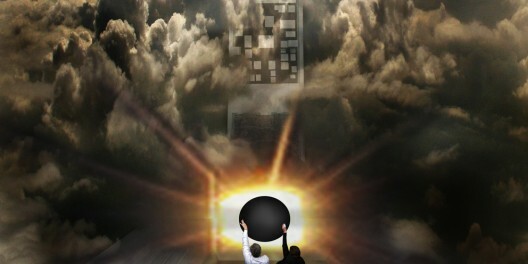 His work juggles with the idea of natural procrypsis in the urban space and deals with the relations among people, living environment, and technology. 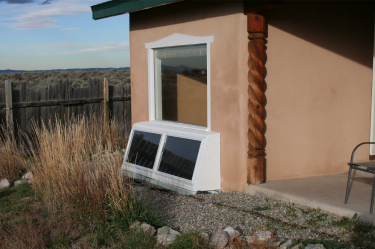 Build These Solar Heaters To Heat Your Home For Free During The Day. I originally wrote this article for my site, The Good Human, but because it is “EcoTech” oriented I figured it should probably be here as well. My landlord just installed 2 of these solar heaters - 10 days before I move out, which stinks. But for the next 10 days, I plan on running these heaters all day long to heat up the house for absolutely no cost to me. In an effort to try to explain what my landlord did, I took a few pictures of the heaters and will do my best to explain how they work. Each heater is basically a sealed wooden box sitting on a small cement foundation and attached to the side of my house. 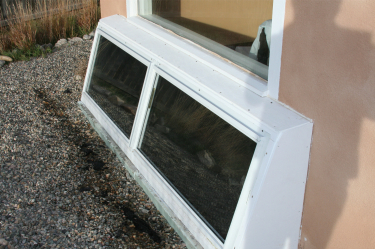 The front of the box is made of glass windows and right behind the windows is black tar paper, which helps to attract and absorb the heat from the sun. Behind the tar paper and running back and forth several times within the box itself is 36 feet of dryer venting, zig-zagging itself back and forth from one end to the other. 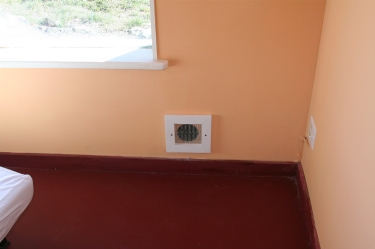 Inside my home, this venting is covered with a grate and framed out with some wood that matches the trim in the house. This is a closed loop system, where the air comes from inside my house, through the heater, and back into my house through the other vent. 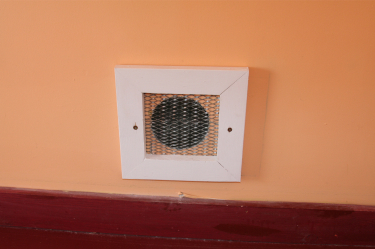 One end has a small fan with a thermostat attached, so that once the air inside the box reaches 72 degrees, the fan automatically turns on and pulls room-temperature air into the heater, lets it work its way through the 36 feet of “heated-up” venting, and returns it slowly back into the house. When it is sunny outside, these heaters crank out some serious hot air. So even on frigid cold days, when these heaters come on they do a great job of heating up the place, as they aren’t even using the outside air to begin with. There is one on each end of my home, and because of the open floor plan, the heat comes from these ends and meets in the middle - my living room. Sure, they don’t work at night (obviously), but they definitely put out a lot of heat during the day, so the warmth does last into the evening for a bit (especially with my concrete floors).While you still may need to run your heater at night or on cloudy days, you won’t need to during any sunny days. A few of these will keep you toasty warm on the coldest of them. I know the boxes did take my landlord some time to build, but I also know they weren’t that expensive - especially for how much they give back. Just thought I would pass this amazing idea along to you guys! 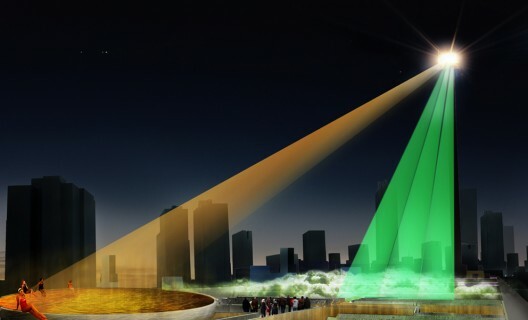 Makes me think of course of our project for San Diego: Tower of Atmospheric Relations based on natural principles of heating and cooling air! 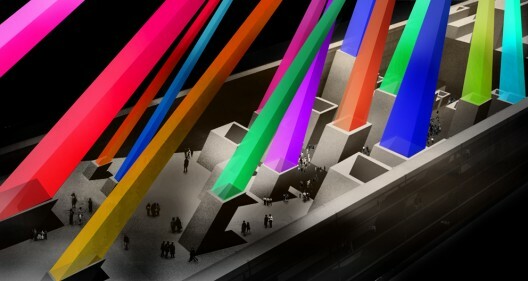 Visiondivision’s latest entry for the Taiwan Pop Music Center competition aims to “transcend its visitors into a total escapism of pop.” With different districts that use the effect of the main tower and specific angles of light, the whole building expands dramatically in appearance, from a rather low key building in the distance to a spectacular body of light once approached. More about the project including images and a further project description after the break. Inside the pop center, the Star District includes office space and rehearsal studios in a flexible large space that can be easily modified to accommodate specific needs. All office space and rehearsal studios can be reached internally through the surrounding walls. 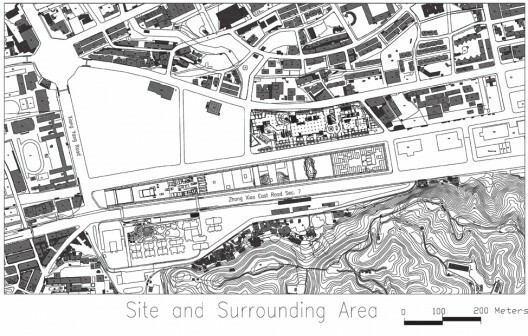 The streets and the small squares in these blocks will be an important area for intermingling for the guest artist and entourage with the local artists and office personnel working in the building. 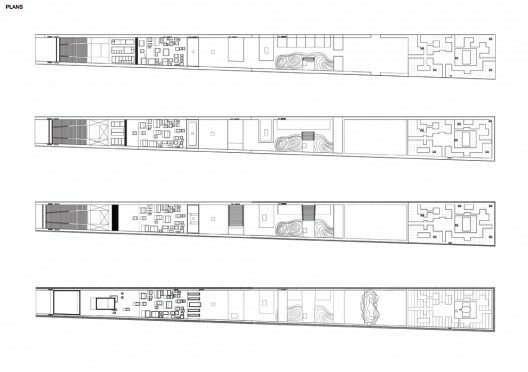 An additional star palace incorporates a hotel setting for the featured artist with an upper level penthouse suite and an exclusive pool formed as a glass bowl that can be illuminated by the tower. 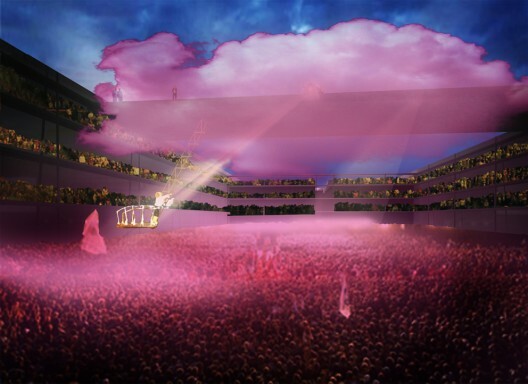 The outdoor arena is a plane surface surrounded by walls with three levels of balconies on each side. 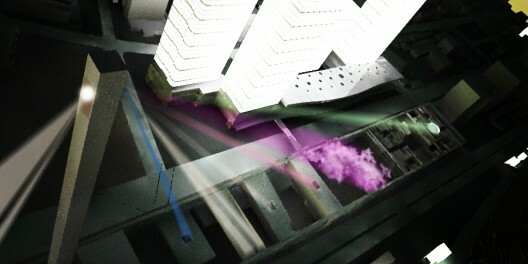 Smoke machines allow the space to be disguised as a cloud with “the cloud rig” mounted on a rail with a light and sound system that can support the scene anywhere on the arena area either as a roof for the artist or as a separate feature emphasizing the show. The live houses are located in the center of the building, connected both to the outdoor arena and the commercial district. These live houses have different scales and characters for different performances. All live houses, except the smallest ones, have holes punctuating the roofs for the projections from the tower to reach the scenes. A tranquil park for recreation sits amidst the live houses allowing people to take a moment to relax while visiting the complex. The live houses are placed so they can be reached separately from outside the complex for easy controlled night activities. 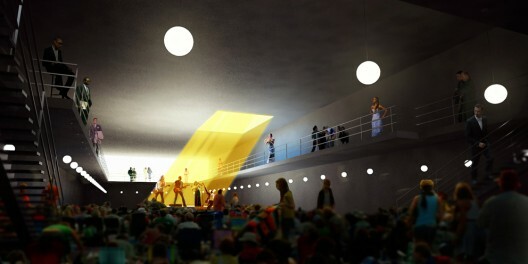 The main hall provides a unique concert experience as large punctuations in the roof are illuminated. 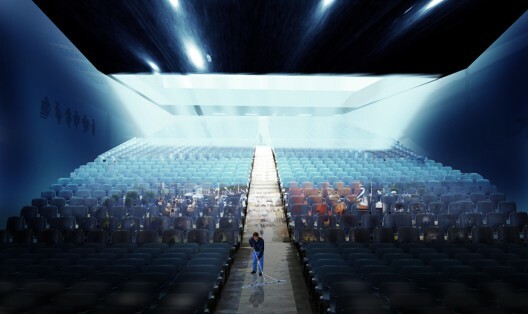 The sloping spectator area is made out of glass beams which can transmit light out on the auditorium plaza, creating an epic foyer for the arriving crowds. The roof above the auditorium becomes a sloping terrace down to the commercial district with views over the whole complex. 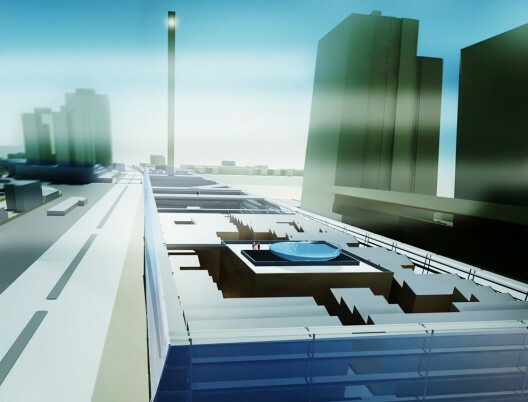 Inside the commercial district, users can visit the central square with the tower, the hall of fame and a great cluster of bars and shops that continue on the sloping roof terrace of the main auditorium. 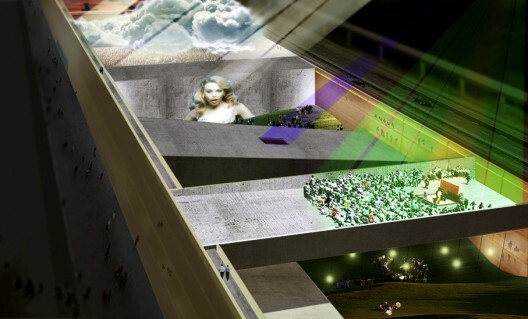 Ultimate clubbing urbanism and atmospheric environment? 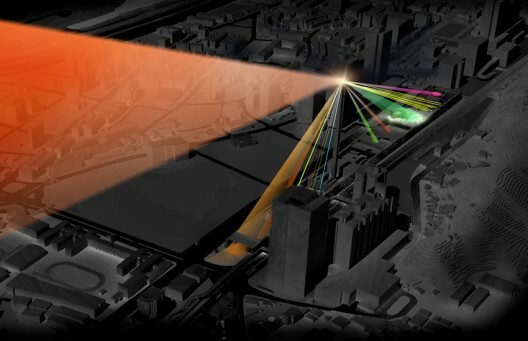 I like this idea of triggering different atmospheres from the tower. 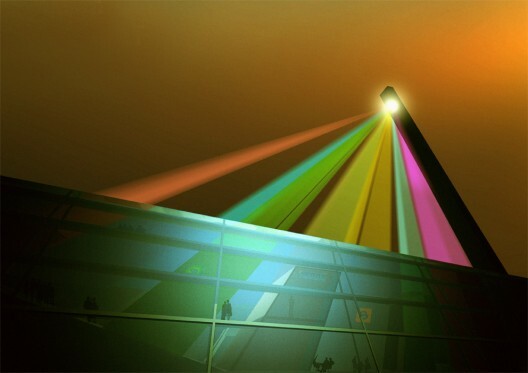 This could go further in triggering differences in different fields of the electromagnetic waves spectrum.